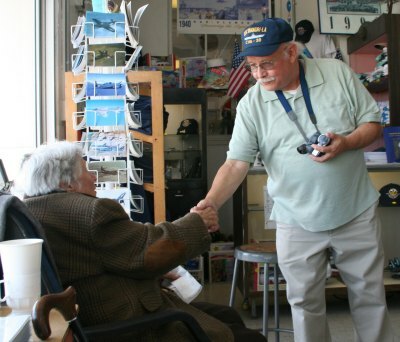 2152 Ferry Road, Alameda Point (On the lagoon across from the USS Hornet) Donation $5.00 (Children under 12 free) including entry to the Alameda Naval Air Museum to view the newly expanded Pam American Airways exhibit. 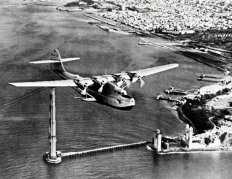 Air Terminal Now is the the NAS Alameda Museum The historic legacy of the Alameda Naval Air Station will be preserved at the Alameda Naval Air Museum located in the former Air Terminal Building #77 at Alameda Point. 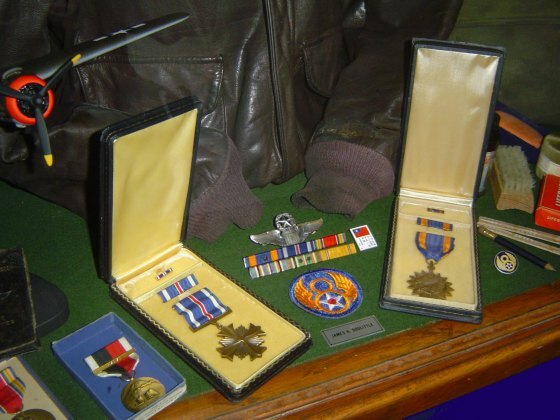 Our museum features archival materials, photographs and stories of the war workers of World War II up to the eventual closing of the base in 1997. 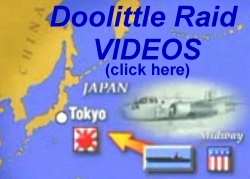 The first Air raid on the heart of Japan, 4 month after the Peal Harbor Sneak Attack. 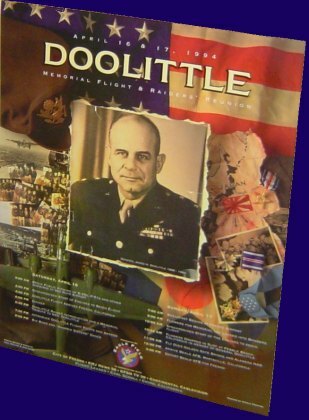 Colonel Doolittle led the B-25s in a daring strike on Tokyo. 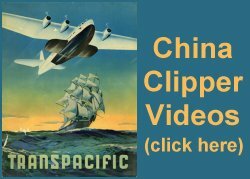 This action launched from NAS Alameda raised the hopes and the morale of a frightened nation. 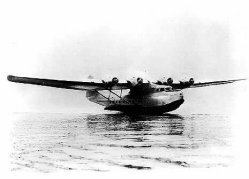 President Roosevelt, when asked where the B-25s came from he answered they came from "Shangri-La" the faraway land of the James Hilton novel Lost Horizon. 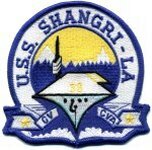 Uniquely named after this Presidential statement the USS Shangri-La (CV-38) was launched on 24 February 1944. California State Historical Site At NAS Alameda NO. 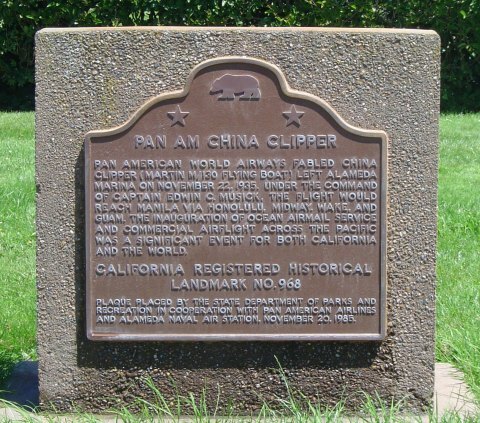 968 SITE OF THE CHINA CLIPPER FLIGHT DEPARTURE - Pan American World Airways' fabled China Clipper (Martin M/130 Flying Boat) left Alameda Marina on November 22, 1935. 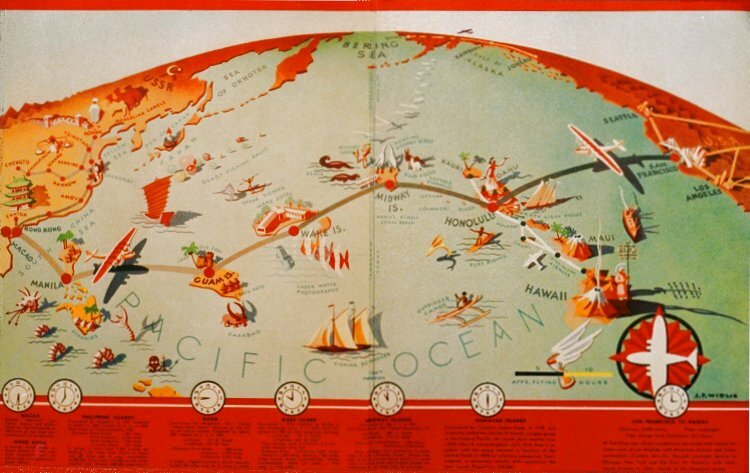 Under the command of Captain Edwin C. Musick, the flight would reach Manila via Honolulu, Midway, Wake, and Guam. 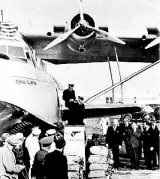 The inauguration of ocean airmail service and commercial air flight across the Pacific was a significant event for both California and the world. 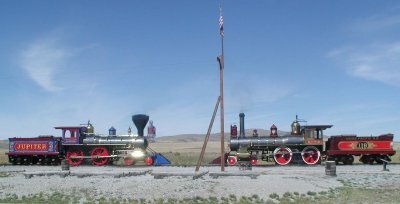 On May 10, 1869, Union Pacific and Central Pacific met at Promontory Summit, Utah Territory. 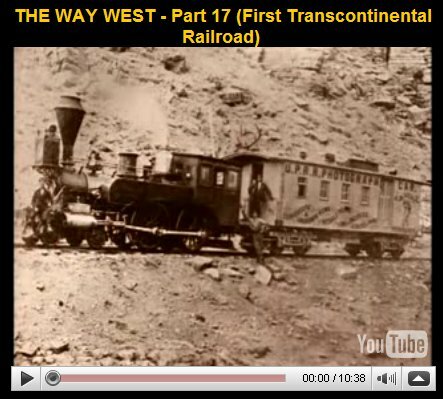 Completeing this nation's first transcontinental railroad. The original locomotives "Jupiter" and "No. 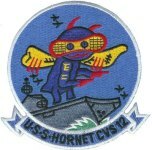 119" were scrapped. 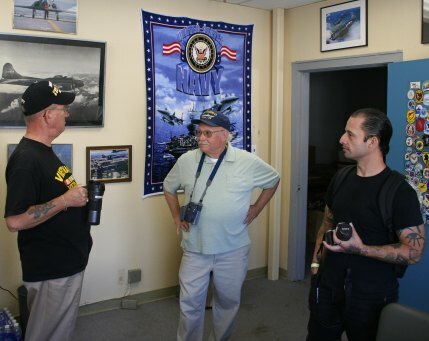 On Thursday, August 7, 2008 land development interests held a meeting on the hangar deck of the USS Hornet. They presented their latest plans for the redevelopment of NAS Alameda. 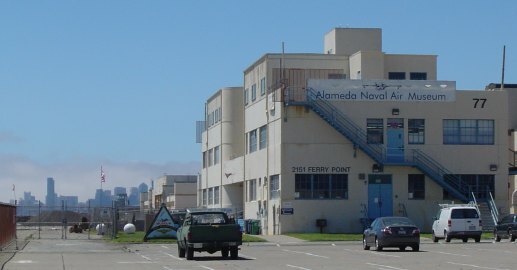 The plans call for tearing down the Alameda Naval Air Museum (ANAM) Located in the Air Terminal. 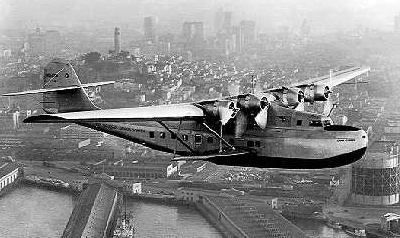 The NAS Air Terminal Museum should be restored and it could be a center piece to develop around. The loss of this Historic site and museum would be highly inappropriate. The Museum needs your Help. 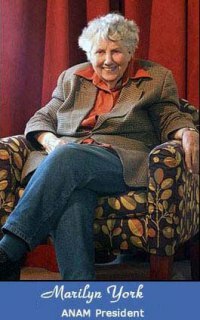 Please contact Marilyn York, President of the Museum Board (510-317-2207). 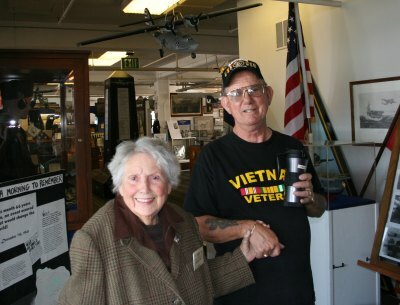 Alameda Naval Air Museum Founder and A "Rosie the Riveter"
We were greeted at the entrance by Museum President Marilyn York an 86 year old, clear eyed, intelligent woman. Holding her hand was Chief Petty Officer Bronson Parry U.S. Navy Retired. The Chief is a museum Board Member in charge of Community Outreach. They are both very passionate about about this museum. 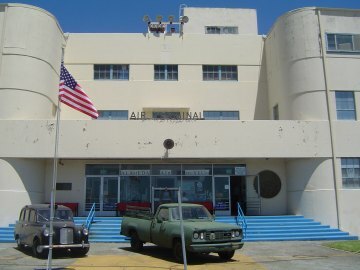 They wish to preserve the old Air Terminal which houses the Historical Artifacts. 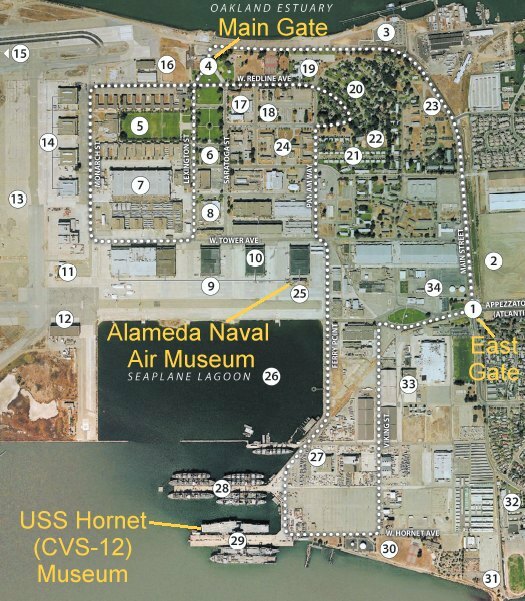 We were told of the concern they have for the preservation of the Air Terminal Site that houses the Alameda Naval Air Museum. 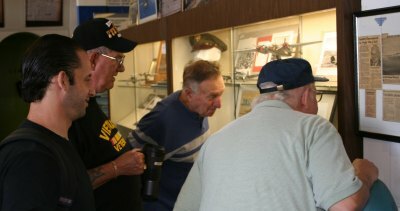 Many Volunteer hours have been put in to make this an archive of historical significance for the Community and to the Honor the Sailors that served here through World War II, the Korean War and Vietnam. 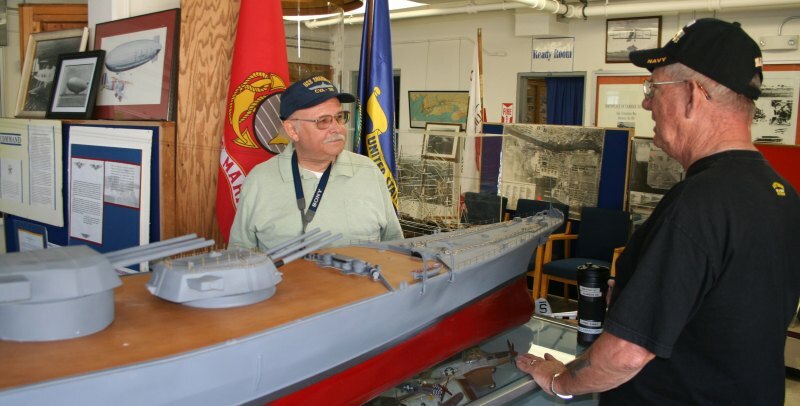 Chief Parry talks about the large radio controlled model of the Japanese Battleship Yamoto displayed here. The Yomoto was the largest battleship ever built. 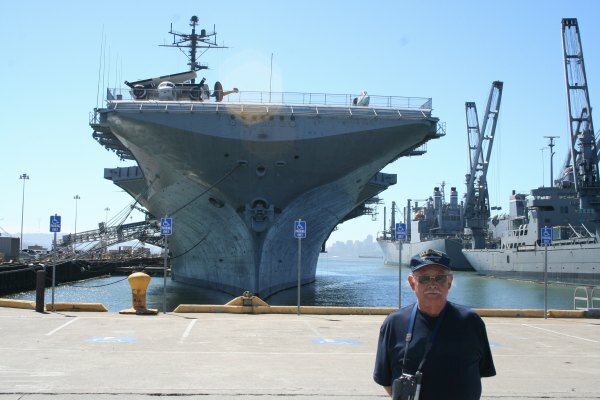 It was sunk by U.S. carrier based aircraft. 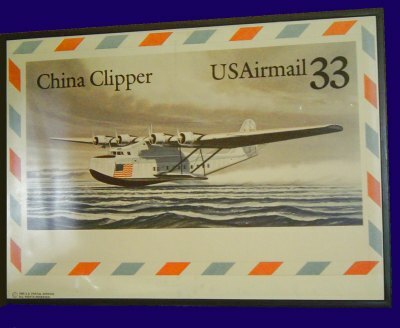 and the Alameda Naval Air Museum? More housing at Alameda Point? 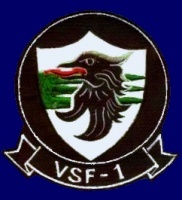 Please note that this version is text only includes no pictures. If you find a reference to a picture you want then email your request to planbldg@ci.alameda.ca.us and include section and page number.